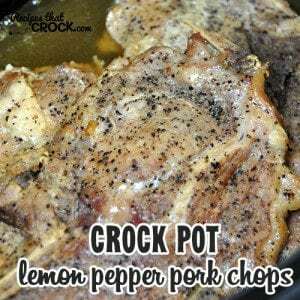 Crock Pot Lemon Pepper Pork Chops - Recipes That Crock! If you are looking for a delicious recipe you can throw together in less than two minutes, then look no further! That is exactly what this Crock Pot Lemon Pepper Pork Chops recipe is! I had come across a monster pack of assorted pork loin chops on Manager’s Special (aka freeze or use now or forever hold your peace) so I needed to figure out what I was going to make pretty quick. I could have frozen them, but I hate trying to thaw out a huge pack of meat. I’d rather just use it up right away. So for the first half of my pack of chops, I made Crock Pot Pork Chop Stuffing. I had three huge chops left and needed to make something with what I had on hand. 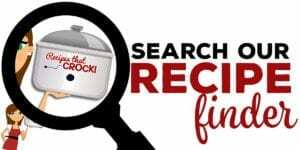 I got to thinkin’ back of some of my favorite recipes and Crock Pot Lemon Pepper Chicken came to mind…so I thought, why not try it with pork chops! 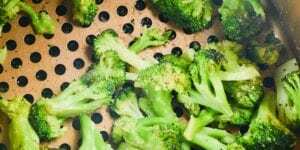 I love a simple recipe that has delicious flavor, don’t you?! 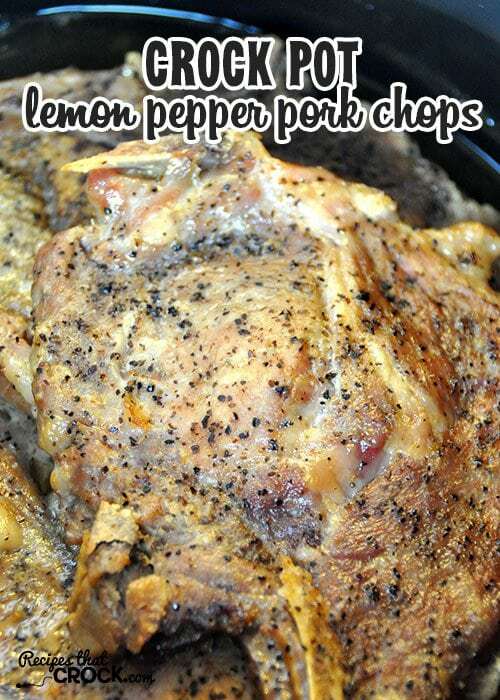 This Crock Pot Lemon Pepper Pork Chops recipe is a snap to make and is so delicious! 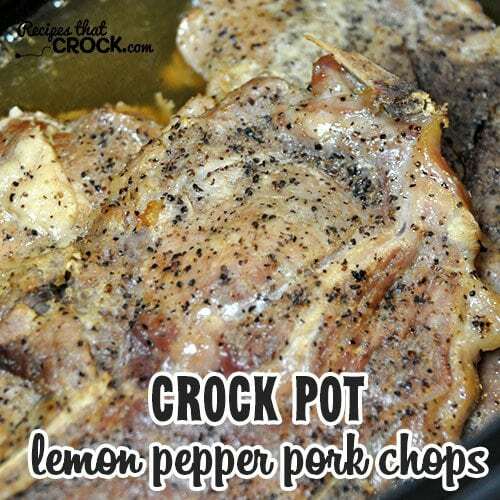 For this delicious Crock Pot Lemon Pepper Pork Chops recipe, I used my Travel Crock Pot. 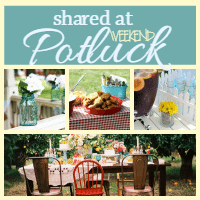 You can use your favorite 4-6 quart crock pot. If you are making a smaller amount of chops, then you can use a smaller crock pot and vice versa, more pork chops will work well in a larger crock pot. This is the perfect recipe to tailor to your needs! Hi! I was wondering if this would work with Boneless Chops? It really does sound tasty…easy, too 🙂 Thank you! 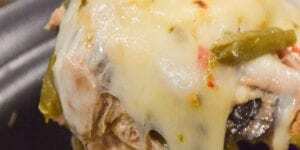 This recipe works best with bone-in chops since you aren’t adding any other liquid to your crock pot. 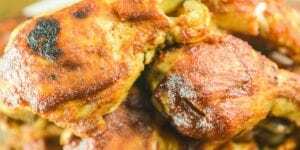 If you already have boneless chops and are looking for a recipe, I’ll put some ideas below of some of my favorites with boneless. Enjoy! Thank you so much 🙂 I really appreciate the links!! I quiet like the sound of this recipe but would ask you and Sue Bond what is and where can lemon pepper be bought in the UK? I really love your recipes i have never used my slow cooker so much,am going to cook the lemon pepper chops tomorrow so from a very windy chilly united kingdom thank you best wishes sue very big fan. Thank you so much! I hope you enjoy it as much as we did! Stay warm! Typically when I do crock pot pork chops, I add some sort of soup (either cheese soup, or mushroom soup) with just a little bit of milk for “sauce”. This recipe seems like it will dry out the pork chops with nothing in there – was there any issues with this? It didn’t dry out for me. 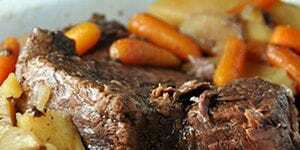 The slow cooker is really good about cooking meats, particularly those with bone-in, well in their own juices. 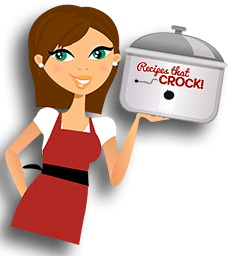 With that said, it is important to not overcook, so if you have a hot slow cooker, watch it closely the first time so that you know how long your slow cooker needs to cook them. 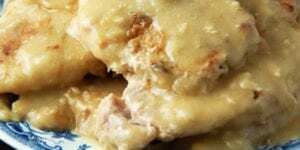 If you are using boneless chops, I would recommend this recipe: http://www.recipesthatcrock.com/crock-pot-pork-chop-stuffing/. Enjoy!